Lol! A lot of you guys are not serious sha! I’m still getting mails for free recharge cards even when it was stated clearly that the Independent Giveaway was to end at 12am. It’s all good sha. This month, I have decided to theme it “Breast Cancer Awareness Month”. 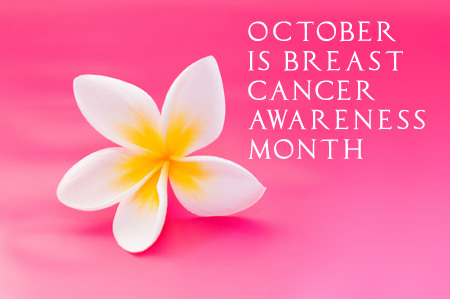 Everything involving Awareness, Prevention and Treatment of Breast Cancer will be discussed on this blog for the month of October. We should all join hands and fight the scourge of Breast Cancer and we should try and support those who have just been recently diagnosed or undergoing treatment for breast cancer. I must tell you it’s not easy. So much ‘noise’ is being made about Breast Cancer and Breast Self-Examination (BSE)as one of the screening methods against it. But little is being said and done about ensuring that women really know how to examine their breasts! A lot of women know about BSE but don’t know how to do it. This is very key to early detection of breast cancer. One of the myths of BSE is that “Only older women should do it”, that it really doesn’t concern the adolescent child. This is absolutely wrong! BSE should be taught to every girl who have developed breasts and is menstruating. The earlier this child learns the technique, the faster it becomes a habit. It will come in handy especially if there is a family history of breast cancer. So, stay connected with Naijahousewife to get regular updates on Breast cancer and Survivor Stories. Congrats gurl! Loads of hugs and kisses! Click here for the full story and pictures. …but sadly you have succeeded in scaring most of your prospective suitors away. It will take a man with ‘hepatomegaly’ (large liver) and ‘nephromegaly’ (large kidneys) to ask for your hand in marriage (and you will marry in Jesus name, that is if you so desire it…because marriage, I think is seriously over rated). Babe, if you ask me O, I think you should have listened more to your father and chilled on buying this 3rd car. What an elderly person sees sitting down, a child cannot see standing. Trust me when I say I love and admire gurls like ya, but this is Live in Naija, where the men are seriously intimidated by strong women. I also believe that women should be able to make money on their own without necessarily depending on a man. Men come in categories: some will show outright distaste for your success, some will pretend to love you and steal all your ‘gold’ while some will go ahead and marry you, then torture you until you spiritually and psychologically denounce your wealth. It is not your portion Linda in Jesus name. A friend of mine is currently separated from her husband of 5 years, not by choice but by force. The man one day, just pounced on her, beating her black and blue, just after she had spanked her daughter for doing something wrong. It had never happened before in the history of being married to her husband. She finally opened up to me that her marital problems started after she bought a house for both of them. When she was about to buy the house, her husband knew about it O! He even encouraged her. Maybe he thought she would never be able to achieve it. One day, she brought home the keys to the house and invited the man to come with her to see the house, which he did. As soon as they stepped into the house, the husband turned to her and started cursing her and swore that she would never smell a dime of his money as long as they stayed married. That, she had the guts to buy a home before him!! The long and short of it is that, he stopped giving her money for housekeeping or personal upkeep and last year up till now, he has not ‘touched’ her, and now this. He has abandoned their rented apartment and taken their only child away from her. Now, this is just one story out of many! So my darling Linda, I’ll pray for you. You will only go higher not lower. You will marry someone who will love you more than you love him and beyond material things. You will marry a Prince or Oba in all sense of the word. I am still trying to research on why Men find successful Women intimidating. May God help us all IJN. The joys of motherhood cannot be quantified, not to mention the act of breastfeeding. There is this innate feeling that comes with it…the fact that you are holding your baby and feeding him or her and his or her life depends on that milk which you produce! A lot of issues have been associated with breastfeeding…these my ears have heard all sorts! Before the breastfeeding week ends, I hope to address quite a few of these issues. Sincerely, I will try to add videos to the blog based on high demands. People generally want to hear other people’s views on stuff. What can I say? Just stick around! You can also follow me on twitter @naijahousewife. WHEN WILL ALL THESE MADNESS END?! I am kinda getting weary of opening stuff on the internet and the first message that says “Hi” to me are stories violence on women…getting tired of it, really! Okay! I guess I can’t escape being ‘battered’ for running away for so long and not apologizing. I promise to make amends but please what ever sin I may have committed, do not, I repeat, do not break up with me! Mrs. Fatima Bankole, 34, was battered by her husband, Alhaji Kamoru Bankole, for taking piece of fish from the pot to break her fast. The victim is first of three wives of Alhaji Kamoru, at residing at Hasan Close, Alasia, Ijanikin in Lagos State. Fatima BankoleThe bruising attack happened on the 16th of July, when the third wife reported to their husband that their senior wife took fish from the soup to break her fast. The husband, according to witnesses, did not listen to her excuse before attacking her. According to the victim, Mrs. Fatima Bankole, their husband had always physically abused her, but the incidence of July 16th was more brutal. She narrated that they had made a roster between two wives, due to the absence of the third wife who was away at the period, to cook for 15 days each. The victim said she had completed her period, and it was turn of the last wife. She said they would normally serve the husband first, followed by the children before the wives would serve themselves. On the day she was to be attacked, Mrs. Fatima said the last wife had finished her cooking and served their husband and the children. She then went for her own meal. But soon after, the last wife complained to her husband that Fatima took a larger chunk of the fish in the pot. Their husband, Alhaji Kamoru Bankole, queried her, but she said that she only took a little out of it, stating that the fish was in pieces and mixed in the stew. Her explanations, however, got her in trouble with their husband. Alhaji Kamoru, she details, delivered several punches to her face. She said she bled for hours and was further locked up in a room for three days before she escaped. She said neighbors then took her to the hospital for treatment. That was the cruelest from her history of experience of assault by their husband, Mrs. Fatima said. From experiences she recounted, she recalled how her hair was pulled out of her head, which resulted in grievous head injuries. Saharareporters learned that police have now arrested the husband, following outcry and petitions by the Women Arise civil group in Lagos. He will be arraigned in court next week. Follow me on twitter @naijahousewife and add #EndDomesticViolence if you want to say something related to this topic.